Lastword: Don’t loose the mark! 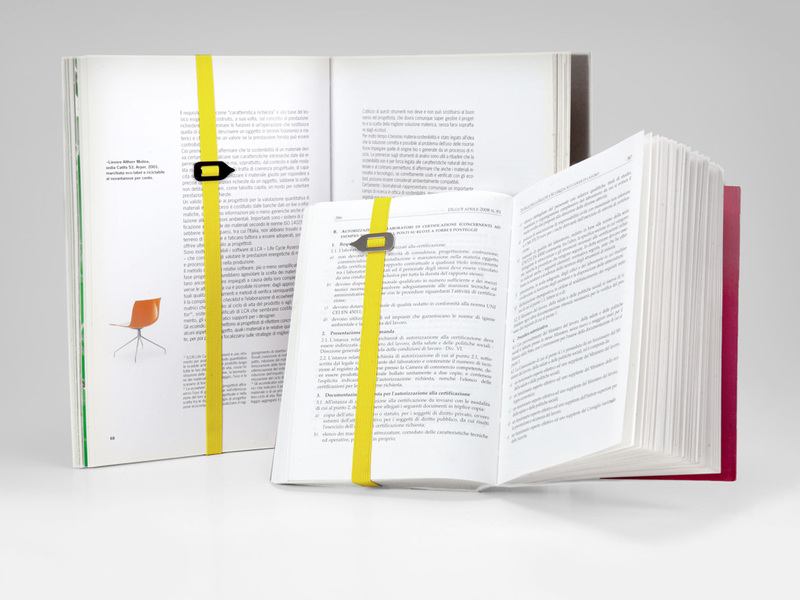 The elastic bookmark awarded by the IDA Design Award. 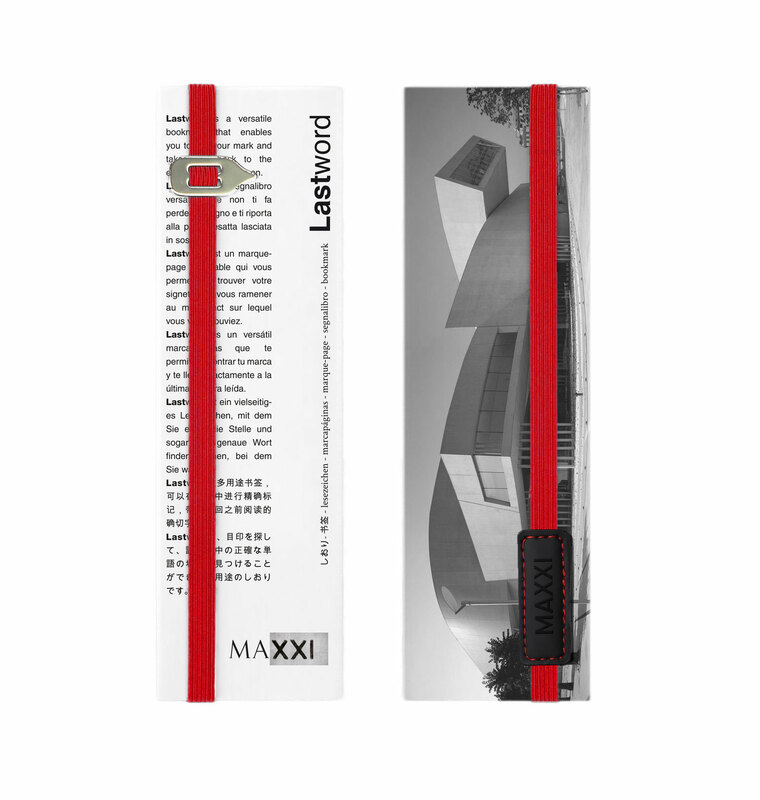 Lastword is a versatile bookmark that enables to find your mark and takes you back to the exact line you were on. 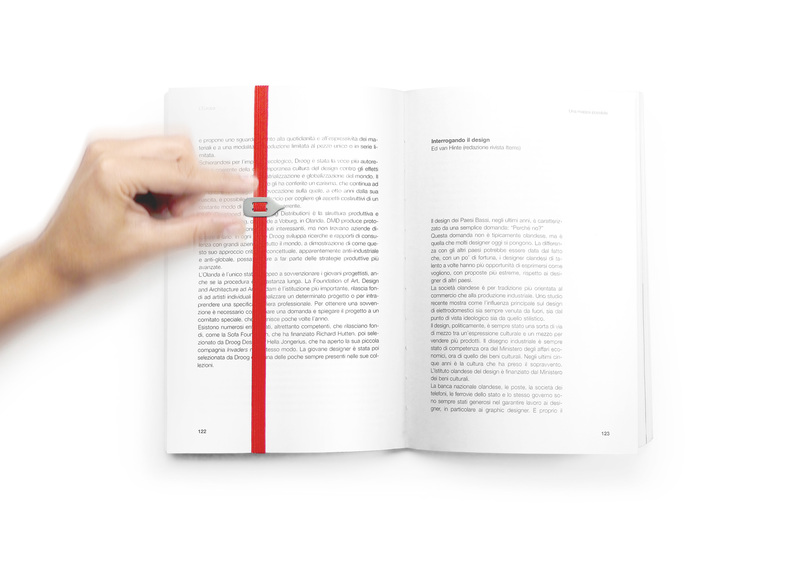 You can leave the metal cursor on the last word you were reading and thanks to its flexibility you can use it with various book formats and sizes. 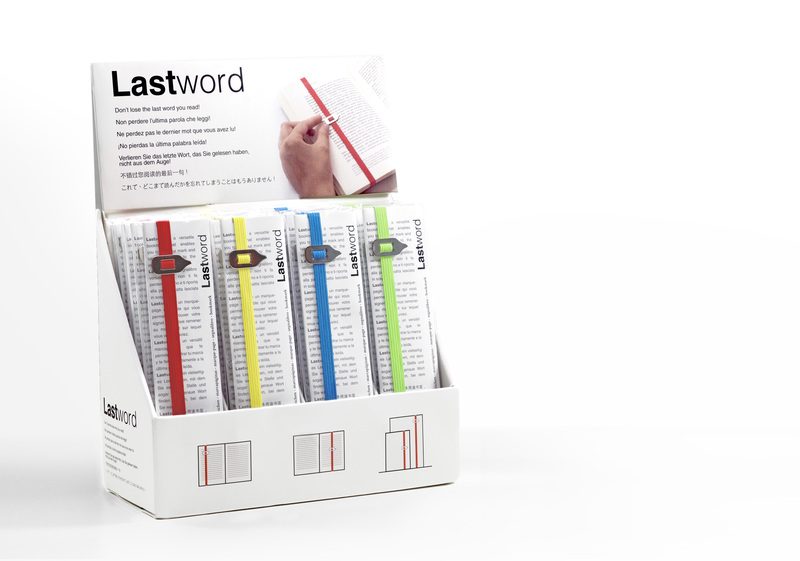 Lastword is available in elegant and convenient 24 pcs display. 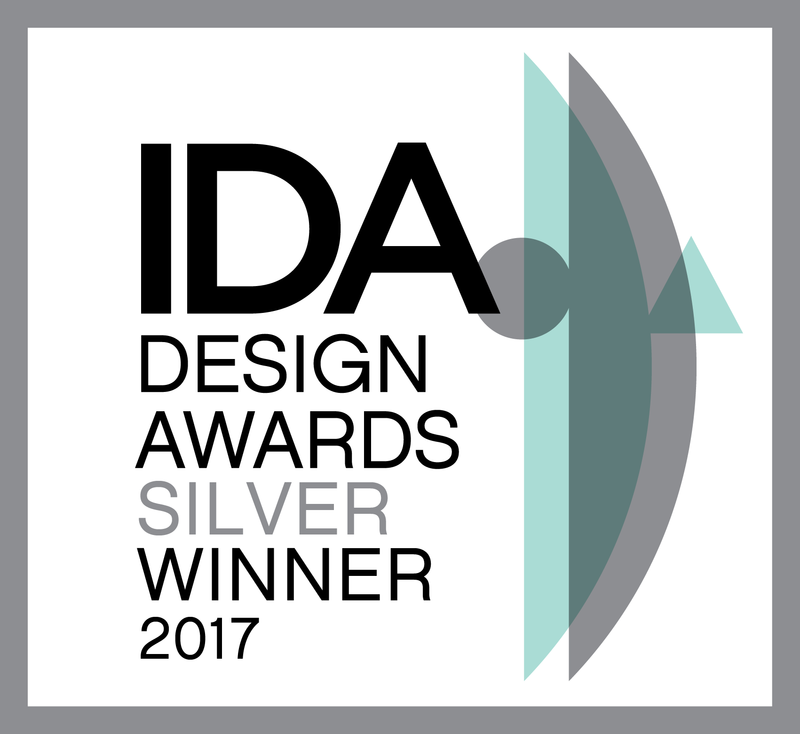 The awarded product is currently produced and selled by Pq design studio from 2018. Leave the cursor on the last word read and you will not lose it between the lines. 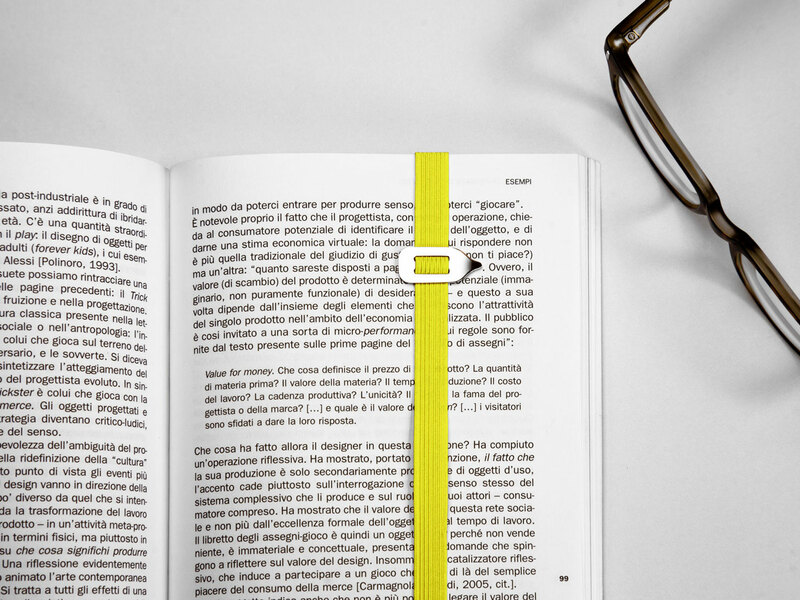 Thanks to the elastic band it fits perfectly all book sizes and formats. 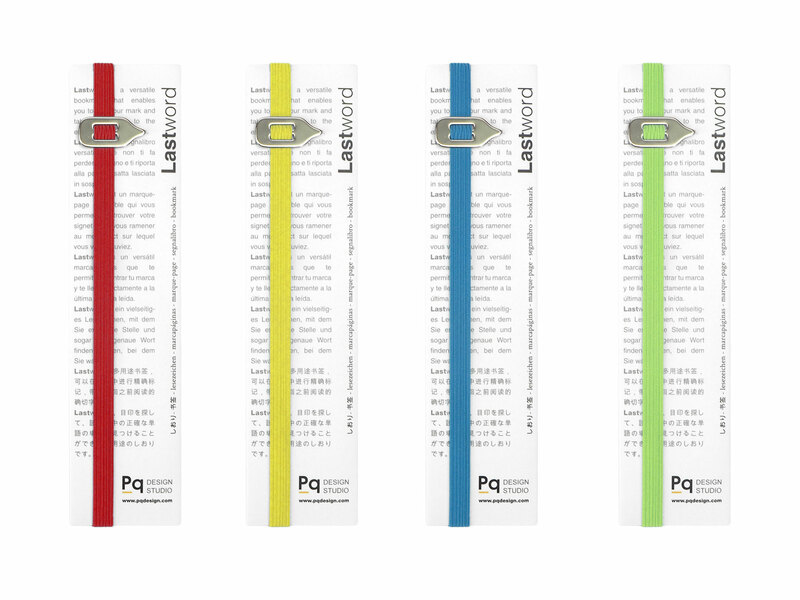 Lastword is made in valuable materials as the eco-leather lable and the polished metal cursor. 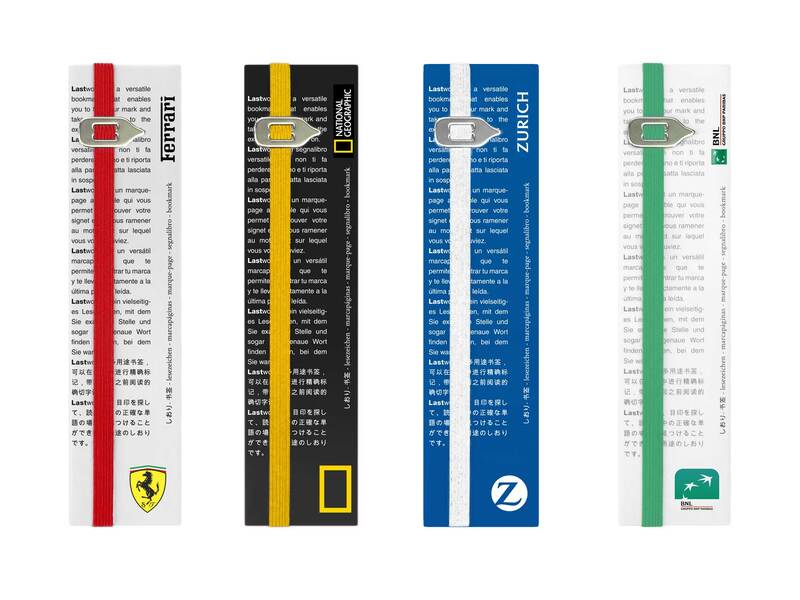 All the information about the bookmark are on the packaging flyer. Lastword is available in elegant and convenient 24 pcs display, in 4 colors to meet anyone’s preferences and needs. Lastword can also be personalized for brands or museums. The pictures below are just an example of how could it be personalized.